Gmail’s change from one inbox to automatically sorting emails into tabs continues to capture media attention and concern marketers. 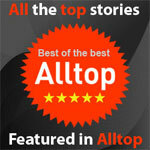 New articles filled with ideas on how to game the interface are appearing daily. Email marketers have resorted to begging subscribers to move incoming emails to the primary tab hoping that will give them priority viewing. All of this effort does nothing to address the real elephant in the room. The Gmail interface is not the problem. It is a solution to email user frustration with an overwhelming inbox. Email is the most economical and effective marketing tool available today. 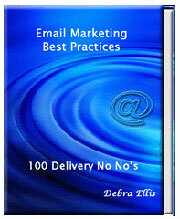 It is easy to implement an email marketing program that consistently generates revenue. The tool works so well that marketers could put their marketing strategy on auto-pilot. And, they did. Templates were created and populated with the deal of the day. Some marketers were a bit more ambitious. They created several templates so the incoming messages had a touch of freshness but the process was the same – create templates, fill in the blanks, and blanket the subscriber list with the emails. It’s little wonder that people are tired of filtering through massive amounts of similar content. Before Gmail changed its interface, frustrated subscribers had few options. They could create rules within their email management service to sort the messages. They could manually manage the ever increasing flow. Or, they could opt out by unsubscribing. Creating rules requires computer skills that are lacking in many households. Manually managing messages is time consuming and frustrating. Unsubscribing could make them miss the messages they want to receive. It was a no win scenario until Gmail stepped in and automated the management process. The good news is that unsubscribes due to email fatigue should drop for Gmail users. The bad news is that messages that once captured attention with a good subject line won’t be seen until the recipient clicks on the correct tab. What’s an email marketer to do? Searching for a way around the Gmail tabs isn’t the answer. The email marketing strategies that continue to deliver solid results have one thing in common – relevance. 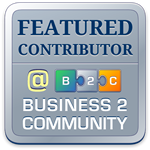 Content that solves problems for subscribers will be found and read. And, if it is really good, the recipients will move it to the primary tab without being asked. It improves relevancy to all subscribers. 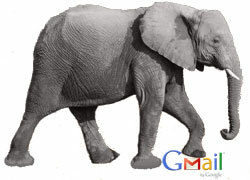 Gmail was the first to make email management easier. Other services are bound to follow. Customer loyalty is improved. Consistently solving problems for subscribers makes it very hard for competitors to steal customers. Marketing messages receive better responses. The trust that is built by providing targeted messages makes subscribers more receptive to promotional emails. You get to know your customers better. Studying customer preferences to create targeted messages helps identify product and service needs too. Your active subscribers want to hear from your company. Even with massive amounts of emails arriving daily, they haven’t opted out. The question that has to be asked and answered on an individual level is “What does this person want or need from our company?” Finding the answer and delivering what people want is the key to long-term corporate success. 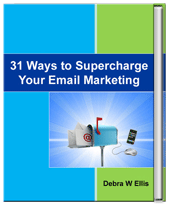 For specific ways to improve your connection with subscribers, check out 31 Ways to Supercharge Your Email Marketing.